We'd asked you, dear readers to share your love stories. 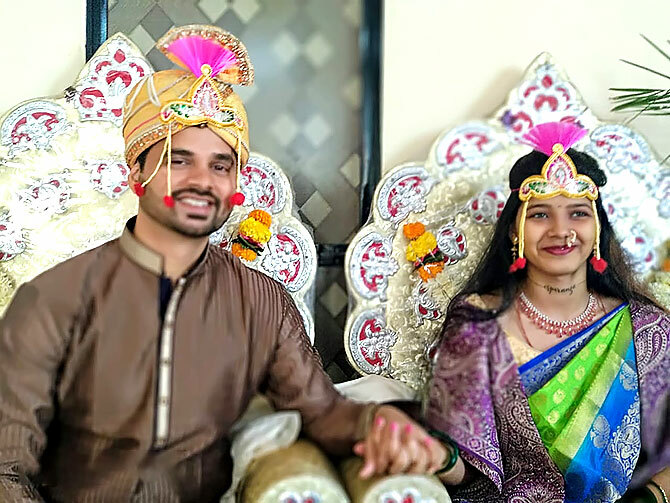 Newly-weds Sweta and Vishal, who got married on January 21, share their romantic journey with us. 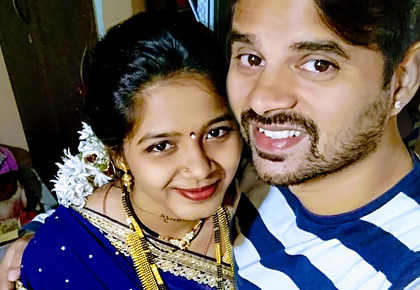 "We have been together for three years now and got engaged and married in January 2019," says Sweta. "We both work as customer support executives in same department, so we had a lot in common. "We first met during a training course at the company's head office in Mumbai. "It was only when we bumped into each other a month later in office, during lunch break, that we really connected. "We did not recognise each other at first, until we spoke about our hobbies and shared jokes. "It was love at first sight for him, but not for me. "A couple of months into our relationship, Vishal told me that he was attracted by my carefree attitude and a smile we had exchanged. "I remember him pursuing me on WhatsApp, so we could stay in touch. "It was Vishal who said the magic words first. "No one played Cupid. He made several efforts to talk to me and also wait for me after office." She adds, "The secret to our happiness is remaining faithful to each another, making each other happy, sharing food, cracking jokes at each other, caring and sharing many other small details of our life. "The day Vishal told me that he wanted to marry me, my eyes were filled with tears of joy." For Vishal, his most romantic moment with Sweta was when she accepted her feelings for him. "It was at Dadar Chowpatty. For me, it is the most romantic place in the world," he says. According to Sweta, the two things that keeps their relationship healthy are: "Admitting your weakness, which encourages growth and change. And learning to trust. It is most important to be a best friend first and then a lover." "If you love someone from your heart, no caste or religion can affect your bond," adds Vishal. "I am saying this because we had an inter-caste marriage and we have faced many problems. "Fortunately for us, our strong bond helped us rise and shine." You too can share your love story with us. Write in to us at getahead@rediff.co.in (subject line: 'Our Love Story'). You can also include a photograph of you and your partner and we'll publish the best entries right here on Rediff.com. Deepika and Ranveer won't change their surnames. Will you?